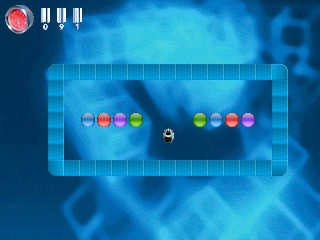 The game InterLOGIC is based on the old Amiga logic game "Balls". 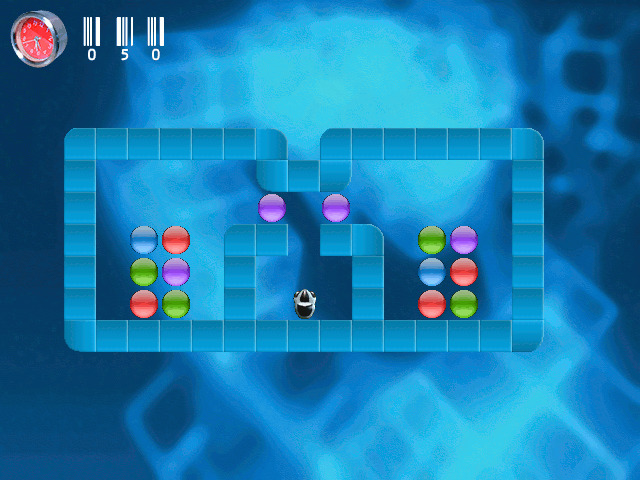 The object of the game is to move balls of different colors through a maze, connecting them with other balls of the same color. Two or more connected balls of the same color will disappear. The aim of the game is to clean the whole maze in this way. The balls are connected if they are right next to each other horizontally or vertically, but not diagonally. The current release contains 30 mind-breaking levels for you to solve. And also thanks for everything man; my C5-00 has more reasons to live now xD!! is still alive, thanks to you AG! Hi AnotherGuest. Have you seen Retro Arch? Maybe it could be ported to our symbian phones? That'd save you a lot of work porting other minor emulators, since many of them are already supported by Retro Arch. For example, there's an working Neo Geo emulator in it. I think it's worth taking a look at the code. No need to reinvent the wheel by porting various games yourself to Symbian, if you could only port this one and it'd take care of itself :) Hope to hear from you soon, because you haven't given any sign of life recently. Keeping my thumbs up for you!